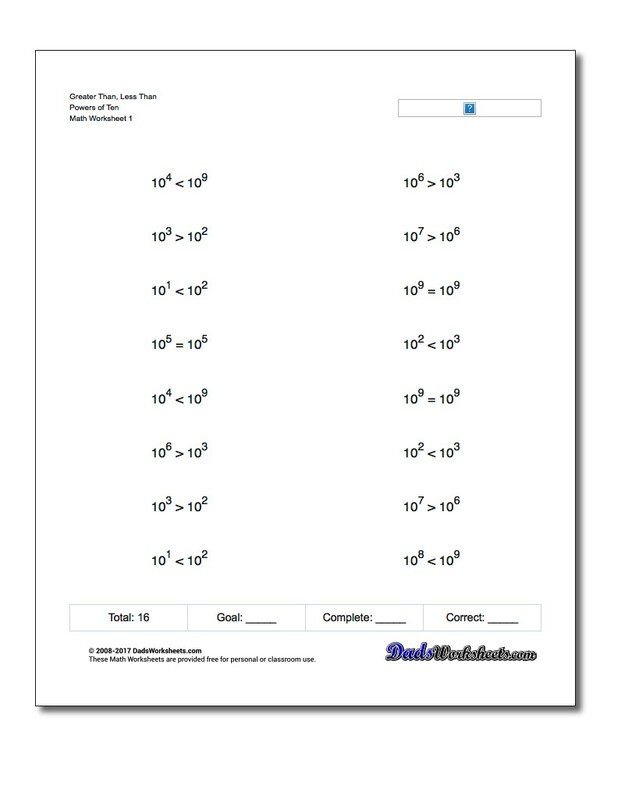 The greater than less than worksheets on this page show simple numbers, math facts, clock times and numbers in scientific notation that students compare to insert the right comparison operator to make the statement true. This is an important skill that can assess how well students understand place values and when developing basic number sense. Greater than and less than tests combined with basic additionm subtraction and multiplication. Greater than and less than tests with power of ten exponents and scientific notation. 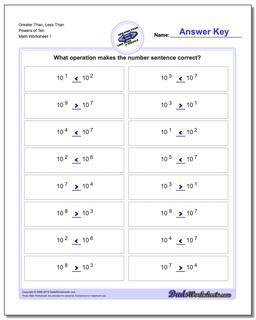 Practice worksheets with greater than and less than comparisons for time problems. Greater Than Less Than Worksheets Teach Much More Than Larger or Smaller! Learning to make comparisons is a fundamental math skill that extends well beyond number sense and into a variety of different types of measurements. 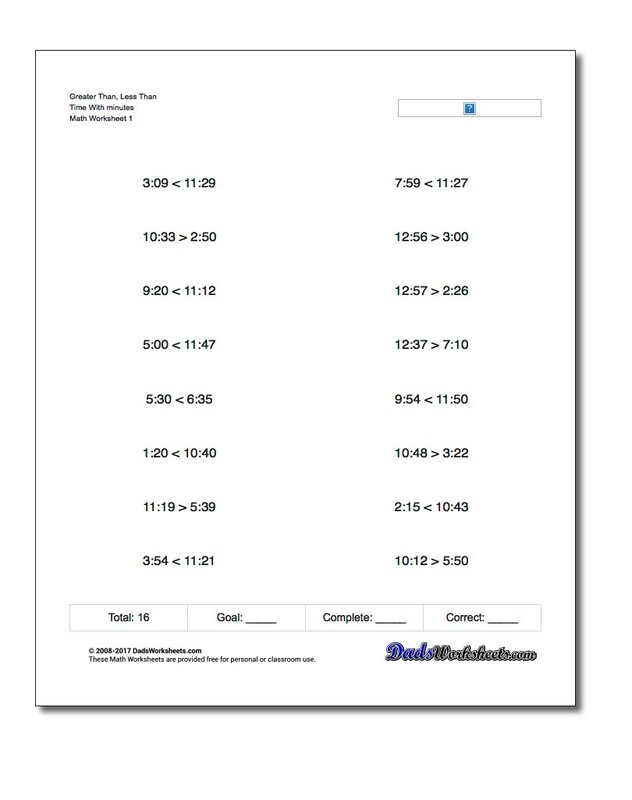 The worksheets on this page cover comparing whole numbers (single digit as well as multipe digits), comparing the results of simple arithmetic, and comparing clock times. 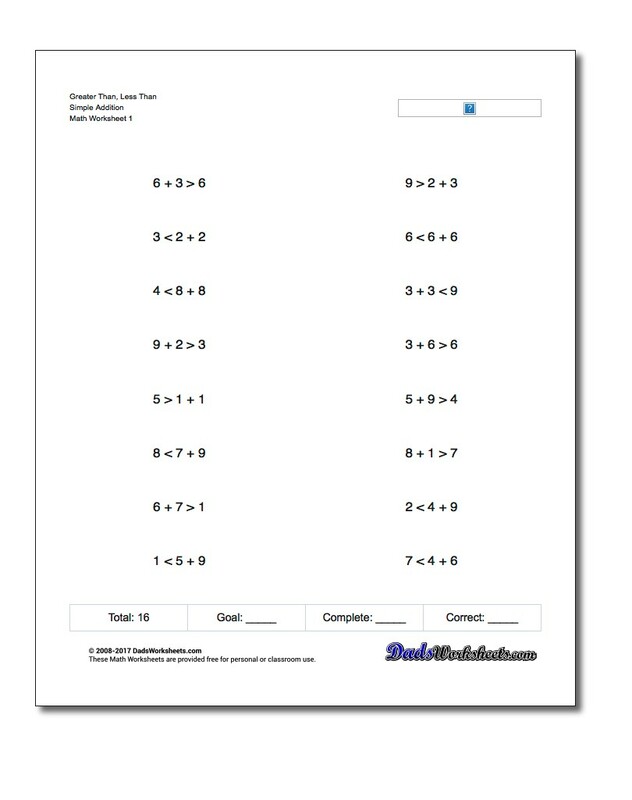 If you're looking for some worksheets to practice comparisons of fractions, be sure to check out the comparing fractions worksheets at the link below. 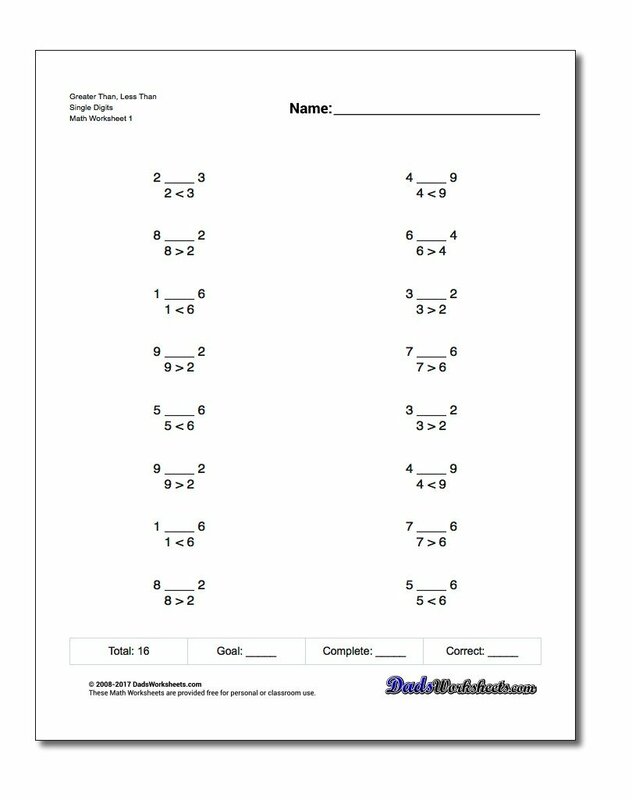 Those worksheets are similar to the greater than and less than worksheets on this page, but with a focus on fractions having the same or different denominators.